I had a Lagos to Abuja 10:40 AM flight to catch but as usual, I was running late so I got in panic mode, skipped breakfast (big mistake) & left for the airport. I got there all flustered, checked in and then the wait to board the aircraft began! With no book to read, all I had was my phone and lookery. After what seemed like eternity (over 3 hours), we finally left. 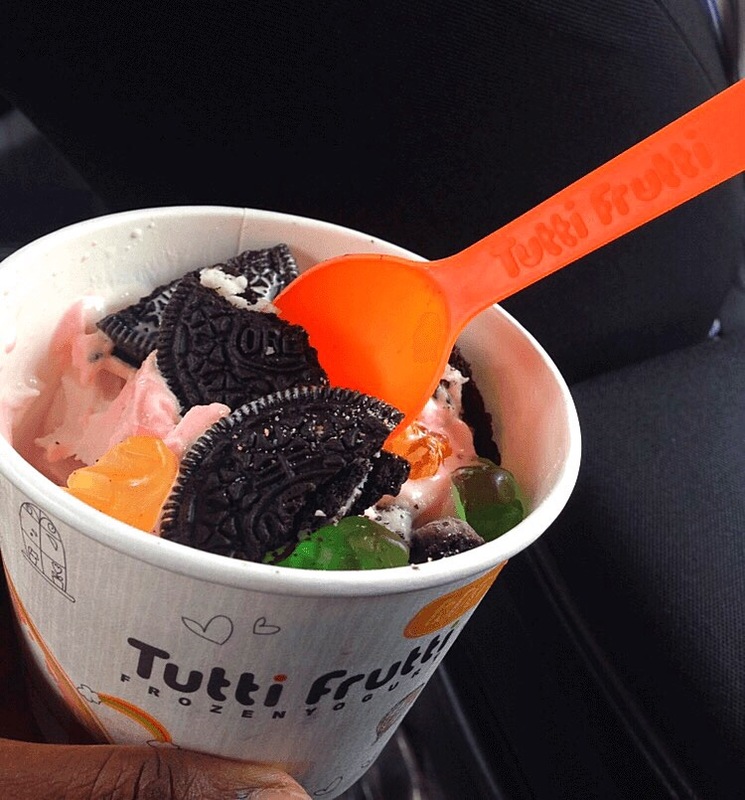 Mr Mike (taxi driver) picked me up from the Airport and asked where to take me, I knew just the place…Tutti Frutti before anywhere! Exhausted and sad from the journey, my brain was too lazy to take note of flavors or toppings, I think I threw it all in which is quite unusual for me, I’m that person that thinks my froyo choices through. After I got into the car, I thought…oooo what a mistake, I should have tasted these flavors first & gotten just waffles but I couldn’t let my money waste so I tried it out…Frozen delight!!! This was definitely what I needed for the pain. Life of a tourist! 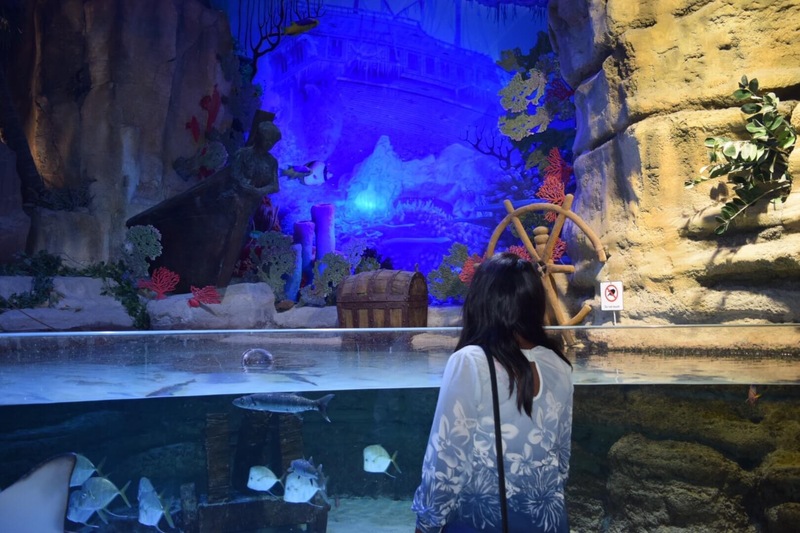 I went to The Dubai Mall for the first time ever & I thought I could see it all… First of all, Steph made us pay plenty money to tour the aquarium *rolling eyes* It wasn’t a total waste of money though, I took a million pictures in that thing…..
Had to get my money’s worth somehow. This aquarium tour took over an hour (oooo I forgot…before then, the walk from the metro station to the mall involved quite some distance). Then we began to tour the rest of the mall, my feet were swollen at some point yet I don’t think we saw it all. Steph spotted Yoghurt Land & showed it to me *happy dance* We went in excited but then it occurred to us that we had overspent our allowance for the day, had to mentally calculate as as we filled our cups so no, I wasn’t thinking about flavors but ofcourse I got waffles….